-BaK-4 prisms for clear, bright, crisp viewing. -ALL-optical green lens has high light transmittance,and the 99% total internal reflection to keep a good image,and You’ll see the stuffs clearl. -Multi-coated optics for excellent light transmission. -10 x magnification with 25 mm objective len provides a wide field of view that measures 114 feet at 1000 yards. 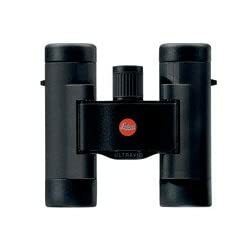 -Adjustable eye widths make it can fit different view distance. -Large center-Center of attention knob for simple adjustments makes it easy to pull Center of attention as you view the field. – It has waterproof and fogproof protection. (Grade IP4),You’ll use this item in different situations. (DO NOT SUBMERGE INTO WATER). ★30-day full amount refunding, 12-month quality warranty and 365-day technical fortify. 【HIGH PROWERED FIELD & LOW NIGHT VISION 】 – 10x magnification with 25 mm objective lens,you even can get a wide view of 362 feet diameter at 1000 yards far away.You’ll see the stuffs clearly in weak light condition(NOT DARK). 【WATER-PROOF&ANTISKID】 – Durable rubber texture anti-slip grip against careless falling or accidental crash. It is waterproof(Grade IP4),You’ll use this item in different situations in your day-to-day life. 【LIGHTWEIGHT & FOLDABLE】 – Up to date styling,lightweight and may also be folded coming with a portable bag and a neck strap in the package, very convenient and easy to carry, fit for hunting, Mountain climbing, exploring,viewing,sailing,bird watching, concert, outside sports and so on.